LibreCat members offer Training and Workshops on a regular basis. We invite all interested in core development of Catmandu and LibreCat to our technical workshop. This workshop will provide in depth analysis of the state of the project and brainstom sessions on the next developments. These sessions are open for all interested, but we have limited room space. Send an email to patrick dot hochstenbach at ugent dot be for more information. Für eine Vielzahl von digitalen Diensten und Dienstleistungen wie Discovery Systeme, Electronic Resource Management, Forschungsdatenmanagement oder Digitalisierung müssen Bibliotheken heutzutage Metadaten in verschiedenen Formaten, z.B. Excel, KBART, MAB2, MARC 21, MODS und PICA, über diverse Schnittstellen (OAI, SPARQL, SRU, Z39.50, etc.) beziehen, aufbereiten und bereitstellen. Diese sich wiederholenden Prozesse des Datenmanagements werden auch als "Extract, Transform, LOAD" (ETL) [https://de.wikipedia.org/wiki/ETL-Prozess] bezeichnet: Extraktion der Daten aus verschiedenen Quellen, Transformation in ein geeignetes Schema und Laden in ein Zielsystem. Catmandu [http://librecat.org/Catmandu/], ein 'data processing toolkit', unterstützt die Standardisierung dieser Prozesse mit Softwaremodulen etwa für gängige bibliotheksspezifische Datenformate, Datenbanksysteme und Schnittstellen. Das dreistündige "Hands-On Lab" bietet eine Einführung in die Funktionalitäten von Catmandu mit praktischen Übungen. Ein Schwerpunkt liegt dabei auf der effizienten Arbeit mit dem command line interface [http://librecat.org/Catmandu/#command-line-client], das den schnellen Zugriff auf die vielen Funktionalitäten des toolkits ermöglicht. Die Teilnehmer*innen lernen, selbständig ETL-Prozesse mit Catmandu auszuführen und so von der fix language [http://librecat.org/Catmandu/#fix-language] für die Transformation und Normalisierung von Metadaten zu profitieren. Die Veranstaltung richtet sich an Datenmanager*innen, Entwickler*innen und Systembibliothekar*innen. Voraussetzung sind grundlegende Kenntnisse im Umgang mit der Kommandozeile und bibliotheksspezischen Datenformaten. Für die Übungen ist ein eigener Laptop mit der Software "VirtualBox" [https://www.virtualbox.org/wiki/Downloads] erforderlich. Eine "virtuelle Maschine" (VM) mit allen benötigten Software-Modulen wird vom Vortragender zum Download bereitgestellt. "Catmandu" (http://librecat.org/index.html) is a command line tool to access and convert data from your digital library, research services or any other open data sets. The "linked data fragments" (LDF) project (http://linkeddatafragments.org/) developed lightweight tools to publish data on the web using the Resource Description Framework (RDF). In combination both projects offer an easy way to transform your data to RDF and provide access via a graphical user interface (GUI) and application programming interface (API). We will present all required tools at the workshop. The participants will be guided to transform data to RDF, to host it with a LDF server and to run SPARQL [https://www.w3.org/TR/rdf-sparql-query/] queries against it. The participants should install a virtual machine (VM) as an development environment on their laptops, see (https://librecatproject.wordpress.com/2014/12/01/day-1-getting-catmandu/) for further information. Audience: Systems librarians, Metadata librarians, Data manager. Expertise: Participants should be familiar with command line interfaces (CLI) and the basics of RDF. Command Line Interfaces (CLI) and tools were the primary utilities for interaction with computer systems and programs until the introduction of the Graphical User Interfaces (GUI). For many tasks they still excel GUI programs: you can process very large files, you can redirect the output of one command line tool into another, chaining them together to resolve complex or repetitive tasks. This workshop will focus on beginner and intermediate uses of the CLI: organizing files and directories, processing data, interacting with Web Application Programming Interfaces (API). Beside the standard UNIX utilities we will use tools like `catmandu` (data processing toolkit), `csvkit` (utilities for converting to and working with CSV), `jq` (lightweight and flexible command-line JSON processor), `XMLStarlet` (command line XML Toolkit) and `YAZ` (toolkit for Z39.50/SRW/SRU protocols and MARC records). By developing a completely new repository software Bielefeld University Library gave its current system the last EXIT. The main reasons for abandoning the old system were its inherently complex data structures, its lack of performance and its highly time-consuming maintenance. Nevertheless, Bielefeld University Library powered (and still powers), as far as we know, the first institutional repository in Germany for research data and publications. The reasons for developing a completely new system were the general need for agile development, a new and more clearly structured architecture, better performance - and proving that one can build real world applications with Catmandu (https://github.com/LibreCat/Catmandu). Actually, Catmandu is used for all ETL processes within this application. Besides the technical part this talk will mention the high costs of EXITing some known environment and ENTERing a new one. Migrating systems almost always unveils some bad surprises, but it is a good opportunity to clean up your DATA and transform it for your future needs. Not only does this affect the current users but also the library staff, not to mention the developers who need to transcend boundaries by rethinking every part of the software. To participate send an email to Johann Rolschewski Johann.Rolschewski@sbb.spk-berlin.de. Limited seats available. 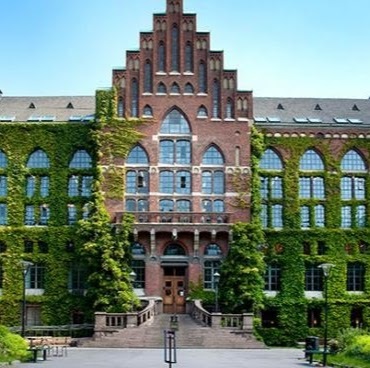 Lund University Library invites you to an afternoon where the common theme will be research data and how different libraries approach the new tasks that come with the increasing interest in making research data available and reusable. All presentations will be held in English. Myriam Mertens, research data manager at Ghent University will talk about "Research Data at Ghent University". Najko Jahn, project and innovation manager at Bielefeld University Library, will talk about implementing research data management services at Bielefeld. Jörgen Eriksson, librarian at Lund University Library, will talk about open data/trusted data. Maria Johnsson, librarian at Lund University Library will talk about the findings of a project on research data management at the University Library last year, and about the actions the University Library are taking upon the results. Anthony Leroy, application developer at Université Libre de Bruxelles will present SAFE-PLN in his talk "SAFE PLN in a Nutshell". After talks and on the following day there will be a workshop for participants in LibreCat where developers and librarians will discuss the current development efforts and new areas of cooperation. Please email to : <snorri dot briem at ub dot lu dot se> to register. See http://swib.org/swib15/programme.html for the conference website. See http://tpdl2015.info/tutorials-list/tutorial-catmandu-metadata-toolkit/ for the conference website. Slides. The exercises will follow. See http://elag2015.org/program/catmandu-a-metadata-toolkit/ for the conference website. The Memento Hackathon is a event to learn about web archiving and long term preservation strategies. During these two days, Ghent University invited Dr. Herbert Van de Sompel, Los Alamos National Laboratory, as speaker about his Memento web archiving project: http://timetravel.mementoweb.org/. The trainer for this hackathon will be Harihar Shankar, Los Alamos National Laboratory, an international expert on application development and the Memento framework. The Hackathon will bring together digital library enthusiasts, programmers and web archiving specialists to discuss long term preservation strategies and get hands on experience with Memento. To share code, documentation and information we created a github organization to share our knowledge. Join https://github.com/MementoHackathon2015. This hackathon is organized in colaboration with Ghent University Library, LibreCat and SAFE-PLN. We kindly thank Ghent University Library for their sponsorship. March 9–10, 2015. These days include networking, hacking and a workshop. The slides for this hackathon are available here. Catmandu provides a suite of software modules to ease the import, storage, retrieval, export and transformation of metadata records. Combine Catmandu modules with web application frameworks such as PSGI/Plack, document stores such as MongoDB and full text indexes such as Elasticsearch to create a rapid development environment for digital library services. After a short introduction to Catmandu and its features, we will present the domain specific language (DSL) and command line interface (CLI). Participants will be guided to transform (their) data records to a common metadata model, to store/index it in Elasticsearch or MongoDB and to export it as Linked Data. Prior Experience: We will be using a simplified DSL language. Participants should be familiar with command line interfaces (CLI). Any programming experience is welcome but not required. A brief tutorial on Catmandu programming can be found here. Requirements: Laptop with VirtualBox installed. Organisers will provide a virtualbox image (Linux guest system) beforehand. Participants should bring their own data (CSV, JSON, MAB2, MARC, PICA+, RDF or YAML). Talk by Johann Rolschewski: "Catmandu – the data toolkit"
In May 2014 we will meet at Bielefeld University for a Catmandu hackathon. We will present a short state of the project and explain some of the new features that are available. The goal of this meeting is to work together on some open issues for the 1.0 release of the code. After a short introduction in the rationales of Catmandu and presentation of sample applications at the Universities of Lund, Ghent and Bielefeld, participants will be guided to transform MARC records to Linked Data. The steps include transforming MARC into a JSON model of choice, storing/indexing the model in ElasticSearch, and exporting/mapping the model as Linked Data. Prior experience: We will be using a simplified ETL language. Any programming experience is welcome but not required. A brief tutorial on Catmandu programming can be found here. Requirements: Laptop with VirtualBox installed. Organisers will prepare a virtualbox image (Linux guest system) beforehand to be worked with during the workshop. LibreCat is an open collaboration to provide freely available tools for library and research services. It allows a librarian to define a “menu” which can be repeated for dataset extraction, transformation and loading. The DataTank is an Open Source data adapter for publishing Open Data sets.The DataTank is a RESTful data publishing tool. By daisychaning LibreCat and The DataTank’s Input project, we can now also map these data to an ontology and publish the data in a RESTful interface. The workshop will go deeper into the latter: an ontology will be chosen, a mapping file will be created and a recipe will be scheduled. The data ingested in the triple store (a data base for semantically enriched data), will then be published through a RESTful interface. Librarians who want the data they are managing lifted towards linked open data. Knowledge about catmandu/librecat is a plus. To create any data oriented application, one of your recurring tasks will be to import data from various sources, map the fields to a common data model and put it all into a database or search engine. Stores such as MongoDB or ElasticSearch provide a developer friendly API, but you keep writing a lot of boilerplate or throwaway code. We tried to abstract this problem into a set of Perl tools called Catmandu which can work with library data such as MARC, Dublin Core, EndNote, protocols such as OAI-PMH, SRU and repositories such as DSpace and Fedora. In data warehouses these processes are called ETL, Extract, Transform, Load. Many (often heavyweight) tools exist for ETL processing but none address typical library data models and services. In this bootcamp we will provide an introduction into these tools. We will show how easy it is to import data and transform it with the help of a small DSL language. Storing and indexing become one-liners. Importing metadata from various sources, transforming this data into a JSON model of choice, storing/indexing in a (search) engine of choice, provide a REST based API. Scripting languages of choice Perl, Python, Ruby, PHP. Laptop with GNU/Linux or OSX or a Virtual Machine. We would like to invite you to the joint PubLister/LibreCat Software Developer Workshop on 29 and 30 November 2012 (1–7pm ; 9am–2pm CEST) at Bielefeld University. Creating a next-generation repository service based on these building blocks: Project LibreCat. The workshop takes place at the Center of Excellence – Cognitive Interaction Technology (CITEC) at Bielefeld University. We acknowledge the support of the Deutsche Forschungsgemeinschaft (DFG). The event introduces the history, rationales and the future of the repository software SBCAT, which has been developed at Lund University Libraries and Ghent University Library. Adopted and customised at Bielefeld University Library, PUB has been the official research database of Bielefeld University since November 3rd 2010. PUB provides Bielefeld University faculty with a single entry-point to register personal publications in order to promote their research within and across the university, e.g. on the Directory of Staff and Departments, personal webpages and those of departments. Up to now, more than 12,500 records have been registered. For projects and research groups, registration and flexible web-presentations will be launched soon. At the Symposium, researchers describe from a first-hand perspective their needs for maintaining publication records and documents. With the CRC PrePrint Server, the PubLister project has served the Bielefeld Collaborative Research Centre SFB 673 Alignment in Communication to disseminate its publication-based research output to the funder during a successful mid-term evaluation. Recently, the SFB Preprint Server has been adopted by another SFB based at Bielefeld University. With PhilLister, the PubLister project has developed a lightweight service that allows flexible storage and dissemination of philosophical papers on personal and departmental webpages. In joint collaboration with the Cognitive Interaction Technology – Center of Excellence (CITEC), strategies are developed to share and synchronize publication and research information with solutions already existing at a central scientific institute of Bielefeld University (i.e. Drupal Biblio). Integrating diverse data sources has been one of the main challenges during the project. With regard to this, the section "Data" firstly analyses vocabularies needed for enriching publication records with research information available at an academic institution such as data about persons, organisation, projects, and events. An approach to identify authors and organisations on the basis of the literature databases "Scopus" and "ISI Web of Science" as part of the "German Competence Centre for Bibliometrics" will be introduced. The second day starts with the presentation of alternative repository-based approaches. For instance, the deployment of EPrints The University of Regensburg Publication Server will be presented just as PUMA – Academic Publication Management developed at the University of Kassel, which is based on Bibsonomy technology. In the following, three workshops allow for a more detailed discussion and sharing of experiences. The workshop "PUB Live Demo" aims at discussion about the software developed and in use. The workshop "Workflows" deals with supporting strategies for populating institutional repositories and supporting researchers. "Applied Metadata Programming and Modelling" invites developers interested in the broader context of academic publications. We acknowledge the support of the Deutsche Forschungsgemeinschaft (DFG).